Eating and drinking are some of the most basic human needs and yet, for many people who suffer from chronic and repeated gastric reflux, the freedom to eat and drink what they choose may not be a given. 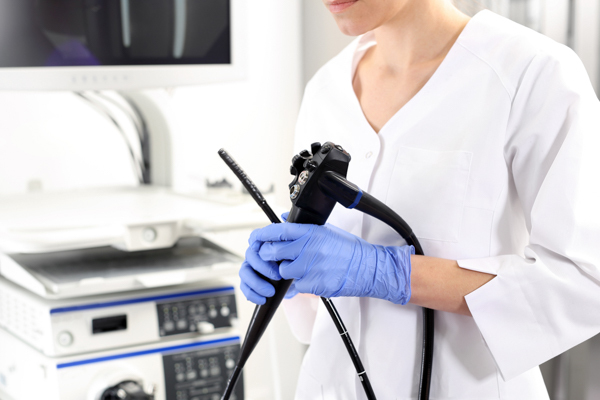 Metropol talks to endoscopy specialist, Surgeon Ross Roberts from The Endoscopy Clinic about gastric reflux and what treatment options are available. Put into simple terms, gastric reflux is the regurgitation of gastric contents into the oesophagus, which can create a burning pain in the lower chest area, often after eating. However, it’s important to recognise, gastric reflux is not just one symptom and is often a pattern of heartburn, choking and sometimes coughing. The symptoms of gastric reflux can come on at a young age, even in babies, and may not be easily recognised in younger patients. Broadly classified as medical treatment or surgery, the aim of medical intervention is to reduce the acidity of the fluid that regurgitates and causes the inflammation of the oesophagus. For people with mild symptoms, simple measures like over-the-counter medications such as antacids often suffice, by treating and preventing symptoms. However, more severe cases, particularly if the patient is unresponsive to lifestyle changes, often requires the use of Losec (Omeprazole) and similar treatments, which slow or prevent the production of acid within the stomach. While these treatments can be very effective, they may not necessarily control all regurgitation for all patients, so surgery may be a preferable option for some. Diet plays an important role in gastric reflux and some patients can manage symptoms by steering clear of certain foods. A number of common foods and drinks which can exacerbate reflux include coffee, wine, chocolate and fatty foods – all the enjoyable stuff. But onions, garlic and tomato can also exacerbate symptoms, so it’s not just the bad foods. Surgery is a very effective and safe means of permanent control of acid reflux. It can be undertaken using a laparoscopic (keyhole) technique and most people will recover normal activity within two weeks. Though it is a minimally invasive surgery, laparoscopy is most suitable for younger, fitter patients who have ongoing symptoms despite appropriate medication. Surgery can have side effects, so the decision to undergo surgery requires consultation with a specialist and the family doctor. Some conditions can exacerbate acid reflux, such as pregnancy and obesity, as these raise the pressure in the abdomen. For most women who suffer from pregnancy related symptoms (heartburn), this will resolve spontaneously after delivery. The best person to advise you about this is your family doctor and he or she can then refer the patient for a gastroscopy if required. The Endoscopy Clinic, Level 1, 9 Caledonian Road, Christchurch 8014.